The capital city of France, Paris' charms will enthral anyone who decides to visit. Architecture, art, food, wine, cafés and bars - Paris has some of the best there is to offer. One of the most popular tourist attractions in Paris, Cathedrale Notre-Dame and its gothic architecture was created in 1163 and took over a century and a half to complete. The stained glass windows tell stories of the bible. 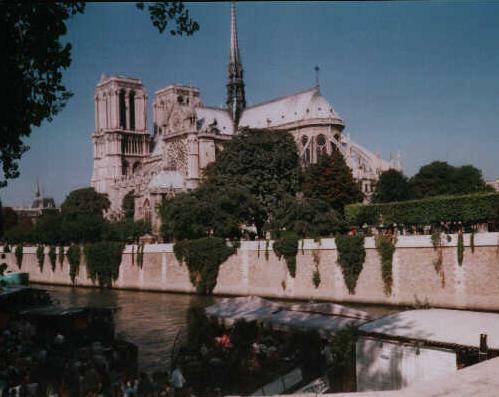 You can walk up to the top of one of the towers for a view of parts of Paris and the river Seine. It is a must see and will definitely leave you in awe. 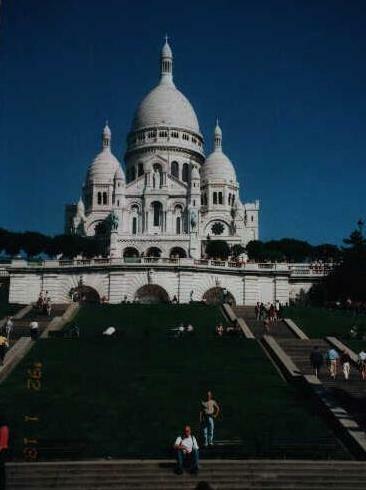 Situated on the top of a hill next to Montmartre, the Basilique Sacre Coeur offers splendid views over the city. If you visit during the summer you will see many other tourists on the rolling lawns enjoying the beauty and splendour of this sacred building. The construction of the Basilica began in 1875 and was finally completed in 1914. The Basilica is dedicated to the Sacred Heart of Christ after the Franco-Prussian war. Montmartre, or mount of martyrs, is the famous stomping ground of many a Parisian artist, poet or writer. If you want to see a cabaret show, buy a local's painting, book or art, Montmartre is the place. The pinnacle of museums and world-renowned, it is here that you can marvel at the Mona Lisa, Venus de Milo and Winged Victory. As the museum is divided into seven departments it is suggested that you be selective in deciding what you would not want to miss out on if your time is limited. You can find more information on the Louvre at www.louvre.fr. The Musee d'Orsay is the home of a large and popular collection of art. Works by Van Gogh, Manet, Renoir, Rodin and numerous others are on display here. Visit the museum's own website at - www.musee-orsay.fr. This spectacular creation, created by Gustave Eiffel, is on almost every postcard and in every book related to Paris. If it is the only thing you do on your visit to Paris, be sure to take a trip up the tower. The queues are usually long but move quickly. The views are incredible and on a clear day you can see for miles and miles around making you feel like you could be on top of the world! 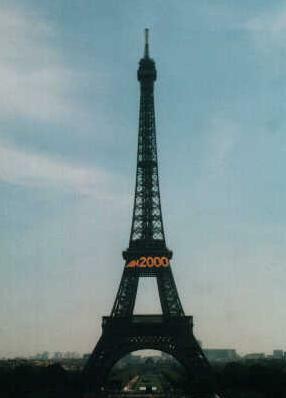 You can find more about the Eiffel Tower at www.tour-eiffel.fr. This lively part of town has so many restaurants it will take you 2 hours to decide which one to eat in, and not necessarily French cuisine either! The food is delicious, prices are affordable and the service is excellent. A must to top off a day of touring the city by enjoying a fine meal with a glass of wine. The world famous arch, at the top of the Champs-Elysées is colossal with roads leading to all parts of the city. 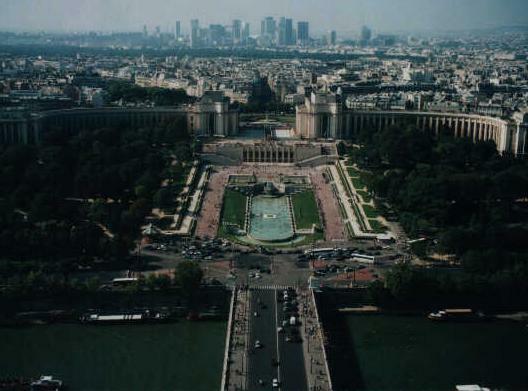 The Arc is a tribute to the military accomplishments of Napoleon I and was completed in 1836. The Arc also feaures the tomb of the Unknown Soldier. Be sure to take the subways to reach the Arc. The traffic is so ridiculous that no vehicle is insured around the Arc de Triomphe. The Seine is the name of the river which runs through Paris. The river stretches over 775 kms, has 37 bridges and has served as a major focal point for Paris for centuries. At present numerous book, art, antique and print dealers line both sides of the Seine. These stalls are called "Bouquinistes". As a matter of interest, it is Julius Caesar who gave the river its name. Probably of the most famous squares in the world, the square is located at the bottom of the Champs Elysees opposite the Arc de Triomphe. Paris' two main parks are the oldest Jardin des Tuileries and the Jardin de Luxembourg. In addition to these, you can find more green space at the Bois de Boulogne. Bus tours are always recommended to visitors to a city where there is so much to see and do. Your ticket will be valid for the entire day and you can hop on and off wherever you please. This is a guaranteed way to get the most out of your visit. Enquire at any tourism office for further details or just look out for the yellow and green buses. An added incentive is that the bus tour companies usually give you a complimentary ticket for a boat ride down the Seine. Taking a boat ride down the river will not only help you in orientating yourself in the city but will also provide you with a wonderful views of the city and its river banks. Highly recommended. The boats are called "Bateau-Mouches" in French. There are a variety of restaurants offering an extensive choice of menu. Compare and see what there is to offer before making your final decision. Paris is reputably one of the fashion capitals of the world. You can visit the 1st arrondissement for designer wear or pop in to France's Selfridges, the Galleries Lafayette. Paris is full of museums, the most famous of all being the the Louvre, and you can spend a whole holiday visiting the different ones. Probably one of the most renowned and revered roads in the world, the Champs-Elysées is home to numerous political body headquarters until it becomes a shopping mecca and is topped off with the Arc de Triomphe at the top. Paris is full of the cafes. You can sit back, sip a glass wine, coffee or cold drink and watch the locals and tourists pass by. These bakeries are delightful and you will be spoilt for choice. A French wine is a must while in France. Blanc, rouge, rosé and champagne are the favourites. You will want to try some of the cold cuts on offer along with a great variety of cheese for every taste. More cheese! Share a fondue pot with a friend and you will not be disappointed. An extremely thin pancake cooked directly in front of you, crepes can be filled with Nutella, fresh fruit, sugar, jam, ham and cheese and just about anything you can think of. There are plenty of stands around town and the prices are very affordable. Paris being a large city has a large number of different eating establishments. You can try the menus at Bistros, brasseries, cafes or more formal restaurants. A bistro is usually a more relaxed setting for more traditional french food. A brasserie is a brewery where beer and a variety of more contemporary meals are available whereas restaurants are generally formal with varying menus, you decide. There are loads of hostels in Paris. Prices vary from hostel to hostel but are generally affordable. Search for and book hostels in Paris. As the city is buzzing with both tourists and people on business be sure to book ahead. There are hundreds of hotels - remember that the area you choose will be very relevant to the cost of the hotel. Many of the main hotel sites will have diverse listings and availability for hotels in Paris. Find Paris Hotels. Self-catering rentals are ideal for longer stays in the city of Paris. Driving in Paris is certainly not for everyone and we would discourage visitors from renting a car to see Paris. Although a bit confusing, the Paris Métro is an excellent way to move around the city. The fares a affordable, the trains punctual and the stations are well placed around the city to take exactly where you want to go. For more information on public transport in Paris, visit - www.ratp.fr. Door to door travel at a price. May be the best option late at night if you are not sure where you are going or don't feel comfortable in the Métro. The Eurostar is a great way to get around France and to France's major cities like Marseille or Nice, and onto London, Amsterdam and Brussels at high speed. Euro divided into 100 Euro cents.